Hello again seekers of love, truth, and the future. The charts have been very kind to you this week. The pain will only be minimal. This week’s selections include, olives, Muppets, and the ever-popular…yak. Good luck, and enjoy… if you can. Aries… The Earth is semi-transitional now against Aries. That always brings problems. In the future, you will develop a new type of flying fish, which you will sell to the public. Unfortunately there will be a messy problem when the fish begin to molt. You will be ridiculed, and sued. Taurus… Uranus is trans-subjunctive against Taurus now. That’s never a good sign. One day, you will tell everyone you care for that you love them is much as an olive pit. They will think you are weird and suggest therapy for you. Gemini… Saturn is semi–trimodal now. That’s not good for a Gemini. In the future, a farmer will have you arrested for giving his Yak, cardi-yak arrest. It won’t end well for you. Cancer…The Moon is Square and in opposition now to Cancer at this time. That portends problems for you. In the future, you will snuggle up with a slug. It will be cold and wet. You will feel very uncomfortable. You will smell awful. Like Dennis Miller. Leo… The Sun is quasi–conjunctive against Leo now. That indicates trouble. In the future, your home will be filled with Oscars and Emmys. Unfortunately you will be arrested for stealing them and face jail time. Virgo… Venus is tri-genital now and in opposition to Virgo. That’s always a bad sign. In the future, you will be develop the habit of sucking on a frozen dinners. People will think you are weird, and shun you. Libra… Pluto is tri-hedril now against Libra and on the cusp. That’s never a good sign. One day, you will buy a shotgun from a Shogun and sell it to a showman. You will be arrested for selling firearms without a permit. Scorpio… Mercury is quasi-oppositional now to Scorpio. That indicates problems for you. In the future, you will trip on a mop or get molested by a Muppet, in either case, it won’t end well. Sagittarius… Mars is in its second ecliptic now against Sagittarius. That always brings problems. Someday in the future, whenever someone makes a comment, asks a question, or just engages in conversation, you will be compelled to say the following, ”Why is that relevant?” You will lose many friends. Capricorn… Jupiter is square and in opposition to Capricorn. That is not good. One day, you will be famous for your Mildew Stew. Famous due to all the law suits against you. You will lose everything including the beef stock you used for the concoction. Aquarius… Neptune is tri-lectic and on the cusp of Aquarius. That foretells problems. In the far future, your enemies will trap you in a box of bauxite. You’ll escape eventually, but you will smell like aluminum for a long time. 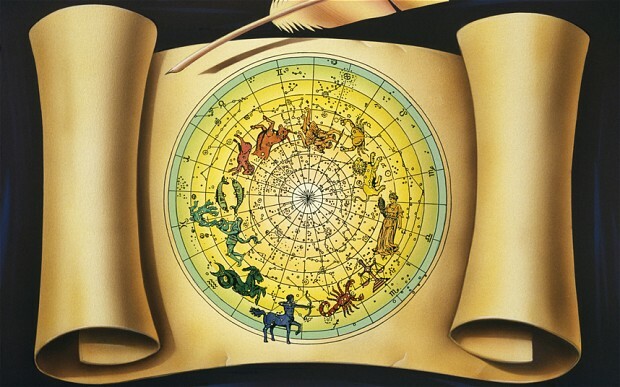 Pisces… Venus is di-crotic at this time against Pisces. That’s never a good sign. In the distant future, You will become an apologist for an anthropologist. It will be a boring and unrewarding job. Depression will set in.